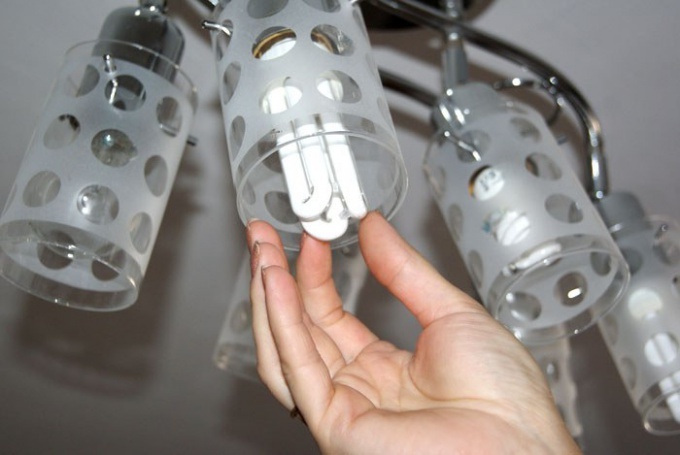 Regular replacement of burned out light bulbs can become a serious issue if the bulb will break or come off, and the cap will remain in the cartridge. Remove the base of the bulb in several ways, but must at the same time to observe safety rules, not to get an electric shock. Before starting work disconnect the electricity to the apartment or at least turn off the lamp. In this case, be very careful and use only tools with wood or plastic handles, because the cartridge could be the phase and the grounding of the light body you will be electrocuted. Bare wires, if they are, check indicator. If shutting the lamp is unscrewed from the socket (e.g., socket burnt to the contacts of the cartridge), break the glass bulb. For safety put it on a plastic bag and hit with a hammer – all the pieces will be inside the package. Try to Unscrew the lamp cap with scissors. Pass the ends of the scissors inside of the cap and pull with a force that they clung to the ribbed surface. Keeping them in this position and, by turning counterclockwise, try unscrewing the cap. Try to divide the cartridge into pieces. If it is removable, just Unscrew the top part from it will be very convenient to Unscrew the lamp cap. Take the pliers and gloves and hold them in glass column, coming out of the cap, after tying it with a cloth. Carefully start to Unscrew the lamp, this column is quite firmly connected with the cap, the main thing – not to break it. If possible turn off the electricity in the whole house you do not, try another method. Take a plastic bottle and Unscrew the cap, then heat the edges of the neck over the stove or over a lighter so that it becomes soft (hands must not touch, try to define the eye). Insert the neck into the base of the bulb and wait 10-15 seconds for the plastic to cool. Then safely remove the cap. If you get the cap fails, try to tear it. For this, armed with wire cutters and nadkusyvat the edge, turn them in to wind the metal in the jaws of the tool. Gradually, taking small pieces, you will be able to see the cartridge. Do not allow rotating the cartridge in the body of the chandelier, holding his free hand. Otherwise, the wires will be twisted together and can break.